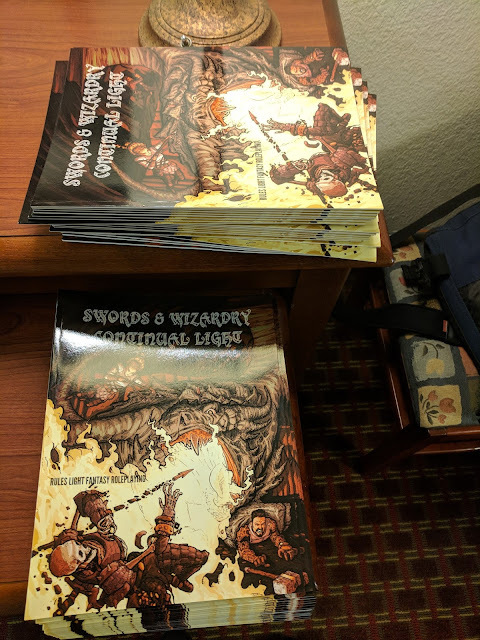 Well, at least I don't plan on returning with any copies. 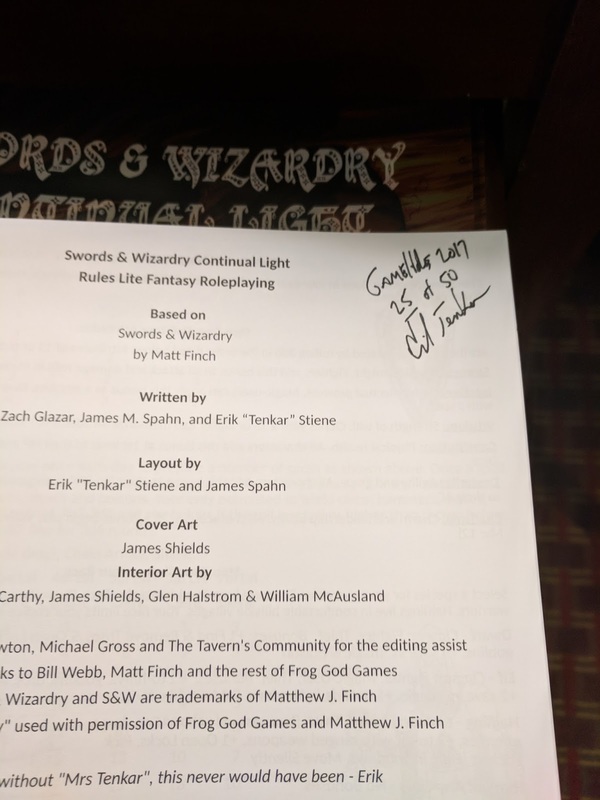 50 signed and number copies of Swords & Wizardry Continual Light will be on sale at the Frog God Games booth during the con. As you can see, I've signed and number half thus far. We'll see you in the hole! You need to pack an extra duffel bag in your luggage, and hope your wife forgets how many bags you had on the way to the con.